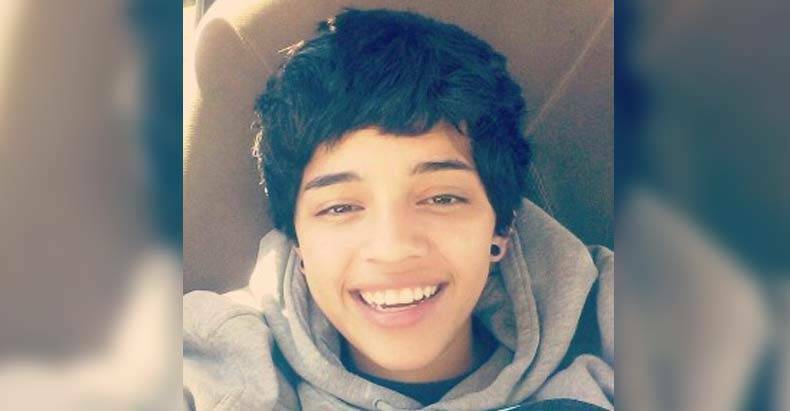 Denver, CO– A 17 year old girl named Jessica Hernandez was fatally shot by two Denver Police officers early Monday morning. The young girl was driving a car that the police allege was stolen, and claim she hit an officer’s leg with the vehicle before both officers opened fire on the car containing four teenage girls and a teenage boy. It is unclear who reported the car stolen, who stole it, or who it belonged to. No information has been given on whether or not the vehicle belonged to a relative of one of the teens. The department has stated that they do not know if Hernandez intentionally struck the officer, but this is the fourth time they have claimed to have shot someone in response to a vehicle being used as a weapon in less than seven months. The officer was treated and released from the hospital with a minor leg injury. Hernandez was reportedly unarmed. Brianna Diaz, who lives in the house in front of the alley the shooting occurred in, told the Denver Post that her 16 year old sister was a passenger in the car Hernandez was driving. Diaz told them that her mother ran out of the house after hearing the shots and was stopped by an officer who grabbed her and tried to calm her down. “My mom told me to start filming, but when I took out my phone, the cop was like, ‘Don’t you dare!’ “ she told the Post. Neighbors claim to have heard multiple gunshots, and the screams and cries of the teenagers. A video which was sent to the Denver Post allegedly shows the officers moving her limp, silent, and motionless body around like a rag-doll and searching her as she bled out. The officers proceeded to handcuff her body before any medical attention was given to the high school student. A vigil was held on Monday evening which was attended by approximately 100 people, many of whom were friends of Hernandez. Local clergy and the family of Ryan Ronquillo, the 20 year old who was killed by Denver Police outside of a funeral home after he allegedly struck two officers with the vehicle he was driving on July 2, were also in attendance. pastor: "we're sick and tired of being sick and tired…"
kid: "we are sick of this but we are NOT tired! I'm not tired! Jessie's dead!" As Elisabeth Epps pointed out on twitter, nobody knows yet what happened in that alley. What we do know is that teenagers have every right to be afraid of police. Perhaps she had heard of Tamir Rice, Andy Lopez, Yanira Serrano, Dillon Taylor, Michael Brown, Joseph Jennings, or any of the other teenagers who made a wrong move and suffered her same fate. Can we really be surprised by a teenager being afraid and attempting to flee? Joy riding, something that was once a rite of passage, just like playing with toy guns, has become a capital offense because cops who pride themselves on their “courage” and “bravery” are in reality, afraid of their own shadows. This beautiful little girl could be any of our children. Please remember that when the police and media predictably begin to assassinate her character in the coming days. This was a young high school girl who was hanging out in a car with her friends listening to music and chatting just before her life ended, and her life mattered. She had friends and family who loved her and many years ahead of her. Who knows what she could have done had she been allowed to make teenage mistakes and learn and grow up. Jessica Hernandez is described by her friends as goofy, extremely loved, and always smiling. There has been an outpouring of grief by her friends on her Facebook page. The four living teenagers were all immediately taken into custody and the two officers who have yet to be named have been placed on administrative leave. @CassandraRules LIke the Manic Street Preachers song says…. "If we tolerate this, then your children will be next"
Help her family cover her unexpected funeral costs here.